We had started to export good quality Akita dogs in 2000. 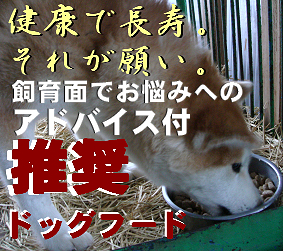 So we have longest history as Akita dog's exporter in Akita prefecture. Good quality. 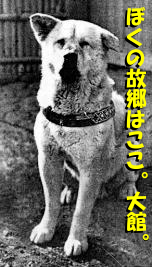 It's just our policy as the person who live in Akita dog's birthplace. We have never export low grade Akita dog. It is just different from high grade Akita dog and low grade one. 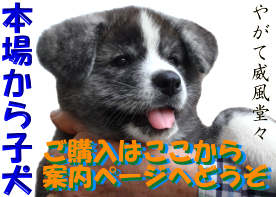 And we are the only exporter in Odate city who got the license from Akita prefecture animal control center to sell Akita dog. Compliance with the law. 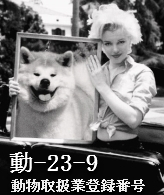 It is our basic spirit as Akita dog's exporter. If you hope to live with high grade and wonderful Akita dog, please order us without hesitation. We can export high grade Akita dogs to all over the world.